Questioner: Sadhguru, I wish I could simply sit for long hours, but I am just not able to keep my body still. How can I overcome this limitation? 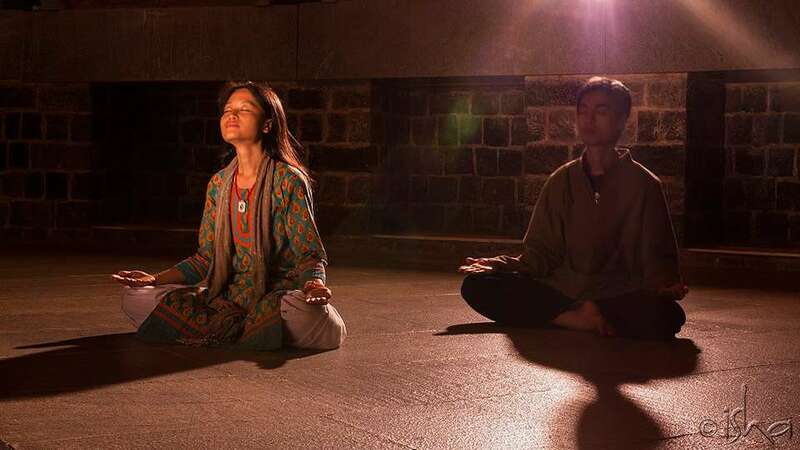 Sadhguru: To sit still, definitely your body needs to be conditioned – hatha yoga is towards that. But even if your body is in a good condition, you still will not be able to sit still, unless you settle some other aspects. There are eight limbs of yoga – yama and niyama, asana, pranayama, pratyahara, dharana, dhyana, and samadhi. They are not steps – they are limbs. If you had eight limbs, which one to move first is your choice, according to your need. Is there a rule which limb to move first? Since you are from India – do not think you must always put your right leg first. There are certain aspects of life where putting your right leg first is better, and there are other aspects where putting your left leg first is better. Which leg to move first depends on the activity. Similarly, which limb of yoga to use first depends on where you are. If you want to sit still, just working on your body is not good enough – you have to work upon your mind too. For a long time in the history of humanity, the body was the strongest aspect and the biggest hurdle. Therefore, people were put through hatha yoga first. A few hundred years ago, only 5-10% of people had mental problems. Others only had physical problems. Even today, in the villages, most people only have physical problems, not mental problems. But generally, in the last few generations, people have had more mental problems than physical problems, because they use their mind more than they use their body. This is a big shift for humanity. Until 100 or 200 years ago, human beings used their body much more than their mind. The way our education system is structured, it will invariably lead to disturbed minds. A child is going from reading poetry to mathematics – both are connected, but there is no one to make the connection. From mathematics, they go to music – both are connected, but there is no one to make the connection. From music, they go to chemistry – they are connected, but there is no one to make the connection, because the music department and the chemistry department do not get along. We are culturing human minds in a completely wrong way. Then how can we expect them to be peaceful and blissful? It will not work. Unless you do the right things, right things will not happen to you. If your body is not at ease simply sitting here, obviously, something is not okay with it, even if you are medically certified as normal. I was surprised to know that according to the medical textbooks in the United States, going to the toilet twice a week is considered normal. According to yogic culture, yogis should go to the toilet twice a day, because excreta should not remain in the system. What should go out must go out at the earliest possible time. First thing when you get up in the morning, it should be done. Twice a week means on an average, you keep it in your body for three days, and you expect your mind to be okay? It will not be okay because your colon and your mind are directly connected.